Mario Augusto Bunge (/ˈbʌŋɡi/; Spanish: [ˈbuŋxe]; born September 21, 1919) is an Argentine philosopher, philosopher of science and physicist who is mainly active in Canada. Bunge was born on September 21, 1919 in Buenos Aires (Argentina). His mother, Marie Herminie Müser, was a German nurse who left Germany just before the beginning of World War I. His father, Augusto Bunge, also of some German descent, was an Argentinian physician and socialist legislator. Mario, who was the couple's only child, was raised without any religious education, and enjoyed a happy and stimulating childhood in the outskirts of Buenos Aires. Bunge has four children: Carlos F. and Mario A. J. (with ex-wife Julia), and Eric R. and Silvia A., with his wife of over 60 years, the Argentinian mathematician Marta Cavallo. Mario and Marta live in Montreal. Bunge began his studies at the National University of La Plata, graduating with a Ph.D. in physico-mathematical sciences in 1952. He was professor of theoretical physics and philosophy, 1956–1966, first at La Plata then at University of Buenos Aires. He was, until his recent retirement at age 90, the Frothingham Professor of Logic and Metaphysics at McGill University in Montreal, where he had been since 1966. Bunge's students include Roger Angel, David Blitz, Mike Dillinger, Andrés Kálnay, Jean-Pierre Marquis, Dan A. Seni, Héctor Vucetich, and Miguel A. Quintanilla. Bunge is a prolific intellectual, having written more than 400 papers and 80 books, notably his monumental Treatise on Basic Philosophy in 8 volumes (1974–1989), a comprehensive and rigorous study of those philosophical aspects Bunge takes to be the core of modern philosophy: semantics, ontology, epistemology, philosophy of science and ethics. Here, Bunge develops a comprehensive scientific outlook which he then applies to the various natural and social sciences. His thinking embodies global systemism, emergentism, rationalism, scientific realism, materialism and consequentialism. Bunge has repeatedly and explicitly denied being a logical positivist, and has written on metaphysics. An inspection of his work allows one to identify a variety of scientists and philosophers who have influenced his thought in one way or another. Among those thinkers, Bunge has explicitely acknowledged the direct influence of his own father, the Argentine physician Augusto Bunge, the Czech physicist Guido Beck,the Argentine mathematician Alberto González Domínguez, the Argentine mathematician, physicist and computer scientistManuel Sadosky, the Italian sociologist and psychologist Gino Germani, the American sociologist Robert King Merton, and the French-Polish epistemologist Émile Meyerson. In the political arena, Bunge has defined himself as a "left-wing liberal" and democratic socialist, in the tradition of John Stuart Mill and José Ingenieros. He is also a supporter of the Campaign for the Establishment of a United Nations Parliamentary Assembly, an organisation which advocates for democratic reform in the United Nations, and the creation of a more accountable international political system. Popularly, he is known for his remarks considering psychoanalysis as an example of pseudoscience. He has also freely criticized the ideas of well known scientists and philosophers such as Karl Popper, Richard Dawkins, Stephen Jay Gould, and Daniel Dennett. In his review of Between Two Worlds: Memoirs of a Philosopher-Scientist, James Alcock sees in Bunge "a man of exceedingly high confidence who has lived his life guided by strong principles about truth, science, and justice" and one who is "[impatient] with muddy thinking". Mario Bunge has been distinguished with twenty one honorary doctorates and four honorary professorships by universities from both the Americas and Europe. Bunge is a fellow of the American Association for the Advancement of Science (1984–) and of the Royal Society of Canada (1992–). In 1982 he was awarded the Premio Príncipe de Asturias (Prince of Asturias Award), in 2009 the Guggenheim Fellowship, and in 2014 the Ludwig von Bertalanffy Award in Complexity Thinking. 1959. Causality; the place of the causal principle in modern science. Cambridge: Harvard University Press. 1967. Scientific Research. Strategy and Philosophy. Berlin, New York: Springer-Verlag. Reprinted as Philosophy of Science (1998). 1973. Philosophy of Physics. Dordrecht: Reidel. 1980. The Mind-Body Problem. Oxford: Pergamon. 1983. "Demarcating Science from Pseudoscience," Fundamenta Scientiae 3: 369-388. 1984. "What is Pseudoscience?" The Skeptical Inquirer. Volume 9: 36-46. 1987. "Why Parapsychology Cannot Become a Science," Behavioral and Brain Sciences 10: 576-577. 1988. Ciencia y desarrollo. Buenos Aires: Siglo Veinte. I: Semantics I: Sense and Reference. Dordrecht: Reidel, 1974. II: Semantics II: Interpretation and Truth. Dordrecht: Reidel, 1974. III: Ontology I: The Furniture of the World. Dordrecht: Reidel, 1977. IV: Ontology II: A World of Systems. Dordrecht: Reidel, 1979. V: Epistemology and Methodology I: Exploring the World. Dordrecht: Reidel, 1983. VI: Epistemology and Methodology II: Understanding the World. Dordrecht: Reidel, 1983. VII: Epistemology and Methodology III: Philosophy of Science and Technology: Part I. Formal and Physical Sciences. Dordrecht: Reidel, 1985. Part II. Life Science, Social Science and Technology. Dordrecht: Reidel, 1985. VIII: Ethics: the Good and the Right. Dordrecht: D. Reidel, 1989. 1996. Finding Philosophy in Social Science. New Haven: Yale University Press. 1997. Foundations of Biophilosophy (with Martin Mahner). New York: Springer. 1998. Dictionary of Philosophy. Amherst, N.Y.: Prometheus Books. 1998. Philosophy of Science, 2 Vols. New Brunswick, NJ: Transaction. 1998. Social Science under Debate: A Philosophical Perspective. Toronto: University of Toronto Press. 1999. The Sociology-Philosophy Connection. New Brunswick, NJ: Transaction. 2001: Scientific Realism: Selected Essays of Mario Bunge. Edited by Martin Mahner. Amherst, N.Y.: Prometheus Books. 2001. Philosophy in Crisis. Amherst, N.Y.: Prometheus Books. 2002. Philosophy of Psychology (with Rubén Ardila). New York: Springer. 2003. Emergence and Convergence: Qualitative Novelty and the Unity of Knowledge. Toronto: University of Toronto Press. 2004: Über die Natur der Dinge. Materialismus und Wissenschaft (with Martin Mahner). Stuttgart: S. Hirzel Verlag. 2006. Chasing Reality: Strife over Realism. Toronto: University of Toronto Press. 2009. Political Philosophy. Fact, Fiction, and Vision. New Brunswick, NJ: Transaction. 2010: Matter and Mind: A Philosophical Inquiry. New York: Springer. 2012: Evaluating Philosophies. New York: Springer. 2012: "Does Quantum Physics Refute Realism, Materialism and Determinism? ", Science & Education 21(10): 1601-1610. 2013: Medical Philosophy: Conceptual Issues in Medicine. New Jersey: World Scientific Publishing Company. 2016: Between Two Worlds: Memoirs of a Philosopher-Scientist. New York: Springer. 2017: Doing Science: In the Light of Philosophy. Singapore: World Scientific Publishing Company. 2018: From a Scientific Point of View: Reasoning and Evidence Beat Improvisation across Fields. Cambridge: Cambridge Scholars. ^ "Karl Popper and Critical Rationalism". Internet Encyclopedia of Philosophy. ^ Mario Bunge, Between Two Worlds: Memoirs of a Philosopher-Scientist, Springer, 2016, p. 113. ^ Bunge relates that he "taught [himself] philosophy between 1936 and 1956" while he was a regular physics student (between 1938 and 1944), studying nuclear physics under Guido Beck (see: Mario Bunge, "Philosophy of Science and Technology: A Personal Report", Contemporary Philosophy, Volume 8: Philosophy of Latin America, pp. 245-272, edited by Guttorm Fløistad Kluwer). ^ Spitzberg, Daniel. "Mario Bunge: Philosophy in flux". McGill Reporter. Retrieved 29 January 2010. ^ a b c "Mario A. Bunge". John Simon Guggenheim Memorial Foundation. Archived from the original on 22 June 2011. Retrieved 29 January 2010. ^ Bunge, M. (2016) Between Two Worlds, Berlín-Heidelberg-Nueva York: Springer. ^ "Overview: Professors". Campaign for a UN Parliamentary Assembly. Retrieved 2018-04-19. ^ RealClearScience - "Is Psychoanalysis Science or Pseudoscience?" Retrieved 16 November 2012. ^ a b Alcock, James (2017). "The Scientist and the Philosopher". Skeptical Inquirer. 41 (2): 58–61. ^ "- BIOGRAPHY - Mario Bunge, PhD, FRSC". University of Ottawa. Archived from the original on 15 February 2009. Retrieved 29 January 2010. ^ Bunge's Treatise on Basic Philosophy stands as his major achievement. It encompasses a quadrivium which he considers "the nucleus of contemporary philosophy", namely, semantics (theories of meaning and truth), ontology (general theories of the world), epistemology (theories of knowledge), and ethics (theories of value and right action). For approximately two decades, Bunge engaged in writing his magnum opus in order to investigate and synthesize contemporary philosophy in a single grand system that is compatible with the advancement of modern human knowledge both scientifically and philosophically. A - Treatise on Basic Philosophy: Semantics (I & II), Ontology (III-IV), Epistemology and Methodology (V-VII) Axiology and Ethics (VIII). All of these 8 volumes in 9 parts are currently in print, available under the Springer-Verlag imprint. VV.AA. (2003). Congreso-homenaxe internacional a Mario Bunge. Mos (Galicia), Grupo Aletheia. [Includes articles in Spanish by M. Bunge (Inverse problems), J. Aracil (MB and systems theory), A. Barceló (Philosophy and economics: three Bungen notions), I, Morgado (Brain, mind and philosophy), J. Mosterín (Biographical sketch of MB), M. A. Quintanilla (Instrumental rationality) y Héctor Vucetich (Quantum mechanics and realism), and in English by M. Mahner (M. Bunge's philosophy of biology)]. Agassi, Joseph and Robert S. Cohen (eds.) (1982). 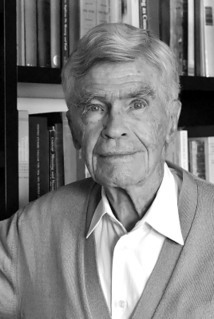 Scientific Philosophy Today: Essays in Honor of Mario Bunge. Dordrecht, D. Reidel. Denis, Andy (2003). Methodology and policy prescription in economic thought: a response to Mario Bunge. Denegri, Guillermo and Gladys E. Martínez (2000). Tópicos actuales en filosofía de la ciencia. Homenaje a Mario Bunge en su 80º aniversario. Mar del Plata, Editorial Martín. Marone, Luis and Rafael González del Solar (2000). <<Homenaje a Mario Bunge, o por qué las preguntas en Ecología deberían comenzar con "por qué".>> In Denegri, Guillermo and Gladys E. Martínez (2000). Tópicos actuales en filosofía de la ciencia. Homenaje a Mario Bunge en su 80º aniversario. Mar del Plata, Editorial Martín. pp. 153–178. Serroni-Copello, Raúl (1989). Encuentros con Mario Bunge. Asociación de Investigaciones en Psicología. Vacher, Laurent-Michel (1993). Entretiens avec Mario Bunge. Montreal, Liber. Wan, Poe Yu-ze (2011). Reframing the Social: Emergentist Systemism and Social Theory. Aldershot, England: Ashgate Publishing. Weingartner, Paul and Georg J. W. Dorn (eds.). 1990. Studies on Mario Bunge's Treatise. Amsterdam-Atlanta, GA, Rodopi. Wen in honor Mario Bunge. This page is based on the Wikipedia article Mario Bunge; it is used under the Creative Commons Attribution-ShareAlike 3.0 Unported License (CC-BY-SA). You may redistribute it, verbatim or modified, providing that you comply with the terms of the CC-BY-SA.